Helen Peterson is a native of Toronto, Canada. She went to college to pursue marketing but currently works at a bank as an administrative assistant. Helen has always loved telling a story, especially through song. She starred in high school musical theatre productions, such as Oliver! and Anything Goes. Her love of writing and telling stories that others can relate to helped her to complete her first novel, Give Your Heart a Break. Helen currently resides in Markham, Ontario. 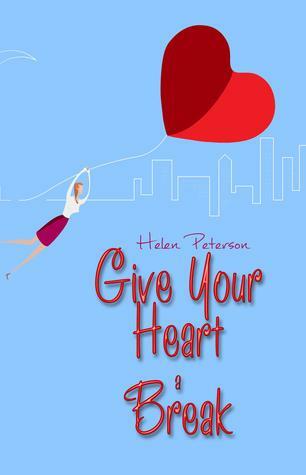 For a chance to win a copy of Give Your Heart a Break, visit Helen’s Facebook page, or click here to join the Reader Appreciation Author Hop. When Rachel Thomas meets Mason Conner, it seems she has found a man who is everything she’s ever wanted. After years of the single girl life in New York City, she’s due for some luck in the romance department. But with her less than stellar track record, Rachel can’t seem to let go of her past failures to fall too hard. That is until Mason’s ex-fiancé reappears, determined to steal him back. With more than winning Mr. Perfect’s heart on the line, is Rachel finally ready to give her heart a break?